Part 1 defined the meaning of the rich Hebrew word חֶסֶד (ḥéseḏ), the main term used to describe the love of God. We now turn our attention to answering the accusation that the God of the Old Testament is not a God of love. 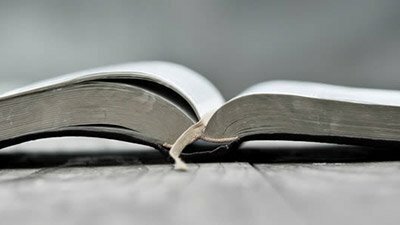 These days, ardent secularists view the Judeo-Christian worldview as being harsh and unloving, because the Bible teaches that immoral behavior is wrong and will be punished by God. This is somewhat hypocritical since, according to a logical extrapolation, there is no place for mercy in naturalistic evolution—only the mindless propagation of genes. Of course, atheists might counter-argue that love is indeed compatible with their worldview. 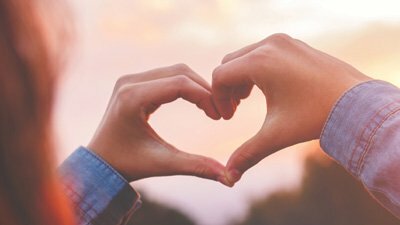 But the ironic truth is that their concept of love comes primarily from the fact that mankind was created in the image of a loving God ( Genesis 1:26 )—it is stamped, to a greater or lesser extent, on every human heart, whether or not a person recognizes its origin.2 Also, the concepts of mercy, grace, kindness, goodness, and faithfulness in many cultures (e.g., Islamic) and sub-cultures (e.g., British atheistic) have been derived directly or indirectly from the teachings of the Old Testament. If an atheist is honest, he must admit that in natural selection’s “survival of the fittest” love amounts to little more than chemistry. There is not much forgiveness in Darwinian Evolution, and plenty of greed and self-preservation, “red in tooth and claw.”3 And where this philosophy has been applied seriously, not least Nazi Germany’s treatment of Jews and invalids, it has left a very dark and unpleasant stain on the history of mankind. Nevertheless, Richard Dawkins made a bitter and scathing attack in The God Delusion, stating, “The God of the Old Testament is arguably the most unpleasant character in all fiction” (p. 31).4 Such a perverse assessment is the result of an astonishing degree of willful ignorance and self-deception, but it is popular with some who “ will not endure sound doctrine, but according to their own desires, because they have itching ears . . . will turn their ears away from the truth, and be turned aside to fables ” ( 2 Timothy 4:3–4 ). Richard Dawkins may preach what many God-haters want to hear about the Bible, but it is certainly not truth. Increasingly today, “love” for many involves control and manipulation, seeking maximum self-gratification in return for minimum commitment. It could be argued that this is due, at least in part, to the widespread influence of atheism and naturalistic evolution in public life, particularly in schools. 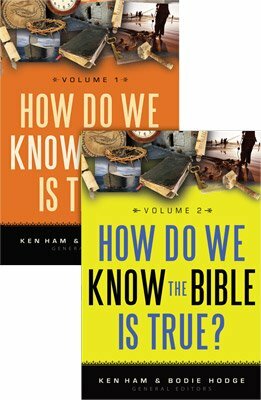 If children are told that there is no God, no ultimate purpose, no universal standard for moral behavior; that they are utterly insignificant, the result of chance chemical interactions on a cosmic stage; that survival of the fittest is the most important factor in the evolution and furtherance of the human race—is it really any wonder that much of society is obsessed with hedonism and violence? This approach to life is the complete opposite of what the Bible teaches about love and its associated humility, mercy, kindness, and faithfulness. Some people may cite the fact that God is “ by no means clearing the guilty, visiting the iniquity of the fathers upon the children and the children’s children to the third and the fourth generation ” ( Exodus 34:7 ), or that “ He repays those who hate Him to their face, to destroy them ” ( Deuteronomy 7:10 ), as evidence of His supposed vindictiveness. But His justified treatment of sin can only be understood properly and fairly when taken together in balance with His great love, realizing that He is “ merciful and gracious, longsuffering, and abounding in goodness [חֶסֶד (ḥéseḏ)] and truth, keeping mercy for thousands, forgiving iniquity and transgression and sin ” ( Exodus 34:6 ), and that He is “the faithful God who keeps covenant and mercy [חֶסֶד (ḥéseḏ)] for a thousand generations with those who love Him and keep His commandments” ( Deuteronomy 7:9 ). Four generations of fallout from sin is hardly an expression of injustice when compared to a thousand generations of faithfulness and mercy for those who love God and obey Him.5 That sounds to me like a benevolent, yet righteous Judge; not an “unforgiving control-freak” or a “capriciously malevolent bully,”6 especially when we consider that the kind of obedience God wants is not blind adherence to a dictator’s petty or self-gratifying edicts, but moral and upright behavior which is the hallmark of civilized and stable societies. It is abundantly clear from both Old and New Testaments that God loves to love! In fact, in one of his New Testament letters John even goes so far as to say that “ God is love ” ( 1 John 4:8, 16 )! It follows that all human expressions of genuine love originate from, and take their lead from, His supreme חֶסֶד (ḥéseḏ). This element of His חֶסֶד (ḥéseḏ) is wonderfully exemplified in His dealings with Nineveh, a place of wickedness and idolatry. Jonah, the famous prophet of Israel, was reluctant to go to this enemy city to warn its citizens of God’s wrath, knowing, unlike Richard Dawkins, that He is “a gracious and merciful God, slow to anger and abundant in lovingkindness [חֶסֶד (ḥéseḏ)], One who relents from doing harm” ( Jonah 4:2 ). In Part 3 we see the ultimate expression of God’s love in the person of Jesus Christ. Baer, D.A., and R.P. Gordon. 1996. חסד. In New International Dictionary of Old Testament Theology and Exegesis, vol. 2. General ed. W.A. VanGemeren, 211–218. Carlisle, United Kingdom: Paternoster Press. Brown, F. 1979 (orig. pub. 1907). The New Brown–Driver–Briggs–Gesenius Hebrew and English Lexicon. With the cooperation of S.R. Driver and C.A. Briggs, 338–339. Peabody, Massachusetts: Hendrickson Publishers, Inc.
Harris, R.L. 1980. חֶסֶד. In Theological Wordbook Of The Old Testament, eds. R.L. Harris, G.L. Archer, and B.K. Waltke. Chicago: Moody Press. 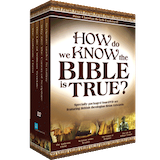 Accessed from BibleWorks (Version 7.0.012g, 2006). Koehler, L., and W. Baumgartner. 2001. The Hebrew and Aramaic Lexicon of the Old Testament, Study Edition, vol. 1 (א–ע), 336–337. Leiden, The Netherlands; Boston, Massachusetts; Köln, Germany: Brill. Stoebe, H.J. 1997. חֶסֶד ḥéseḏ kindness. In Theological Lexicon of the Old Testament, vol. 2 (חֶסֶד–צִיּוֹן). Ed. by E. Jenni, and C. Westermann; trans. by M.E. Biddle, 449–464. Peabody, Massachusetts: Hendrickson Publishers, Inc.
Van Pelt, M.V., and G.D. Pratico. 2003. 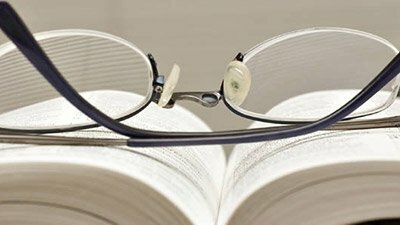 The Vocabulary Guide to Biblical Hebrew. Grand Rapids, Michigan: Zondervan. Zobel, H.-J. 1986. חֶסֶד ḥéseḏ. In Theological Dictionary of the Old Testament, vol. 5 (חמר–יהוה). Ed. by G.J. Botterweck and H. Ringgren, 44–64. Grand Rapids, Michigan; Cambridge, United Kingdom: William B. Eerdmans Publishing Company. Is the “Law of First Mention” a Legitimate Interpretive Principle? An elderly German lady once told me that Hitler was kind to children. While I found the remark obnoxious and politely but firmly told her that I was upset by her assessment of the most notorious anti-Semitic murderer of the twentieth century, responsible for the inhumane deaths of a million Jewish children, it nevertheless highlights that even the most hateful of characters, including pagans, are capable of some form of respect and kindness (Matthew 5:46–47). With ravine, shriek'd against his creed. Furthermore, even the curse of generational sin can be broken. Through faith in Christ, the ratio of generational cursing to blessing can be reduced, so to speak, from 4:1000 to 0:1000—such is the magnitude of God’s חֶסֶד (ḥéseḏ)! So any suggestion of God being unloving, unforgiving, or unfair is exposed as shamefully and utterly foundationless. In the Hebrew Bible this is Jeremiah 9:23. In the Hebrew Bible this is Psalm 89:15.